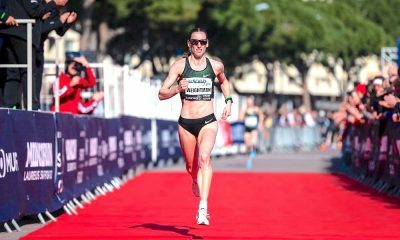 The British marathoner and Sinead Diver clock PBs at the Marugame Half Marathon, while there were fast times at Chichester, Dewsbury, Alsager, over in Germany, and lots more! Charlotte Purdue’s 69:46 clocking at Marugame Half Marathon on Sunday (February 2) cemented her place as one of the UK’s top endurance runners. Purdue’s time was a significant slice off her previous best recorded at last year’s Big Half Marathon in London, where she ran 70:29 to take the win in the English capital. The Aldershot, Farnham & District runner was fourth in the Marugame international event, which was won by Kenya’s Betsy Saina in 67:49, while the Netherland’s Abdi Nageeye took the men’s race in 60:24 to set a new Dutch record. Purdue finished one place behind Irish-born Australian international Sinead Diver who continued her sizzling form running a PB of 68:55. Diver, who turns 42 later this month, broke the over-40 world record by over a minute. The County Mayo native moved to Australia in 2002 and made her debut for her adopted home at the 2015 World Championships in Beijing. If Diver was running for Ireland her time would have also set a new Irish half marathon record. Purdue and Diver have been training together with the Melbourne Track Club and both athletes will take on the London Marathon in April. 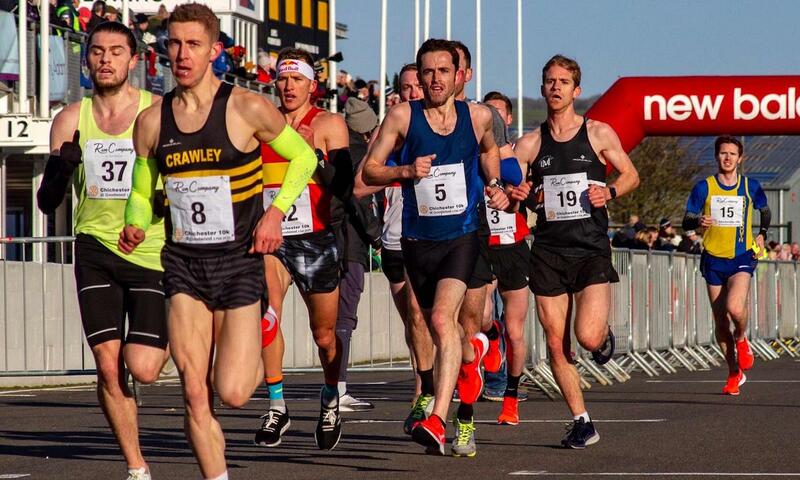 There were impressive performances back in the UK too on Sunday, with the Chichester 10k seeing seven men dip under 30 minutes and a new course record Steph Twell. Twell took the women’s title in 33:17 in her first race outing since running a fantastic 2:30:11 marathon debut in Valencia last December. 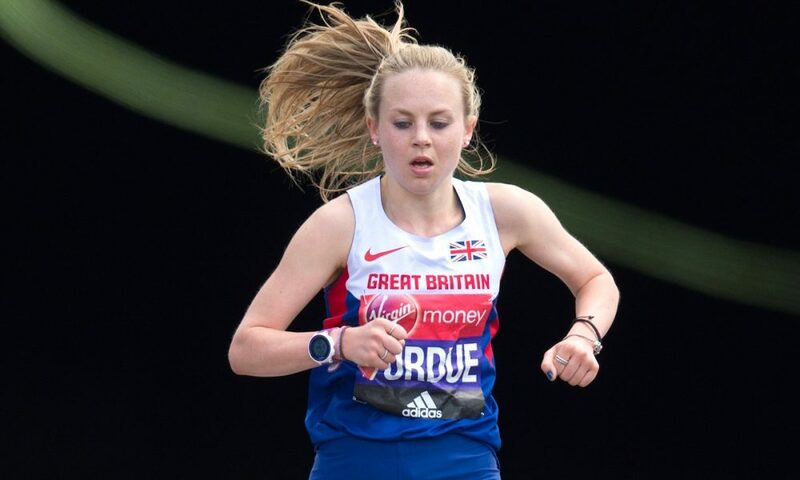 The Geoff Wightman-coached athlete will be looking forward to duelling with Purdue in London in April as she sets her sights on a World Championships qualifying time. Twell’s fellow AFD athlete Lauren Hall was also in record breaking form of a personal nature as she ran a 33:59 PB to finish runner up, while Worthing & District Harriers’ Leah Harris ran a superb 34:54 10k debut to finish third. The men’s race was an incredibly tightly fought affair that saw the top seven all beating 30 minutes, with Enfield & Haringey’s Will Mycroft slicing a massive 62 seconds off his PB with a winning 29:32 result. Last year’s Cambridge Half Marathon winner, Mycroft has made stupendous progress over the shorter distances over recent months. For example, the 14:38 5k runner brought his parkrun time from 17:21 (set last December) to 15:39 just last weekend, albeit on very different courses. He beat second placed Paul Navesey from Crawley AC by just one second as the versatile athlete also ran a massive 61 second PB to cross the line in 29:33. Navesey’s trophy cabinet includes an impressive variety of silverware, with gold medals from the 2018 Sussex 5000m sitting alongside one from the 2016 UK 100k Championships! He ran 6:58:52 to go 23rd in the all time rankings at the Perth ultra event, but has clearly since focussed on his top end speed with admirable results. Third place at Chichester went to Clapham Chasers’ Andy Coley-Maud, with the former GB international and last year’s runner up clocking 29:37 to just miss his PB. Fourth placed Calum Johnson also ran a PB of 29:38, as did Bristol & West’s Peter Le Grice (29:39) – who also ran the fastest UK parkrun time yesterday of 15:10 – and Lewes AC’s Tom Evans (29:44), who finished 5th and 6th. Notts AC’s Doug Musson ran 29:50 to follow up on his Nottinghamshire Cross Country Championships win last month. Matt Clowes and Rosie Clarke won the popular Alsager 5 mile road race on Sunday. 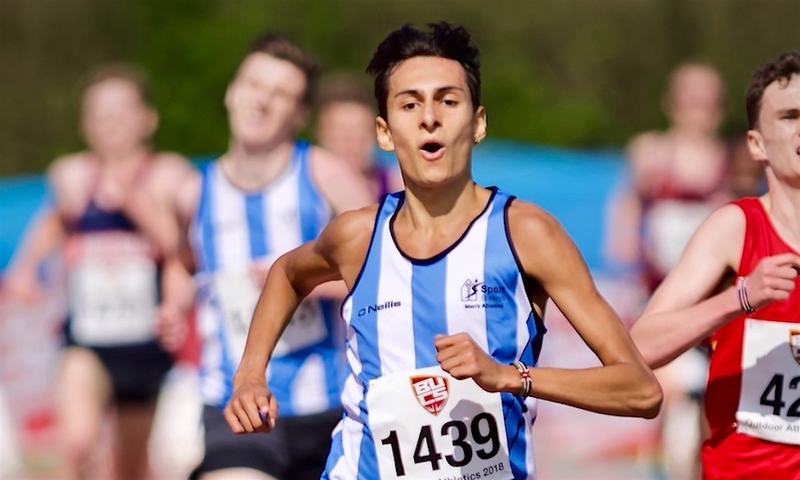 Cardiff AAC’s Clowes clocked 24:16 for the win ahead of clubmate and Commonwealth Games fourth-placed marathoner Kevin Seaward, who was also awarded a 24:16 finish. Notts AC’s Stuart Spencer also finished inside 25 minutes with a 24:30 clocking. Not long back from a stint at altitude training in Kenya, GB international steeplechase Clarke won the women’s race in 27:14. After winning the Midland cross country title last weekend, City of Stoke’s Kate Holt was back racing and finished second in 27:30 ahead of Swansea Harriers Elinor Kirk, who posted a time of 28:31. Over in Germany on Saturday night, Melissa Courtney ran a world-leading time of 8:43.36 to win the 3000 race at the Indoor Meeting Karlsruhe. The Commonwealth 1500m bronze medallist’s winning time was also a Welsh indoor record and she jumps to eighth on the UK indoor all-time list. There was an international winner at Colchester’s Great Bentley Half Marathon on Sunday when GB’s Helen Davies won in convincing fashion in 72:49, her second fastest time and her quickest since 2012. The V35 athlete continues to impress as she makes inroads into PBs across the board, and based on this form it surely won’t be long before her 72:35 half marathon best will be under threat. Witham RC’s Rachel Sweatt was a distant second but still posted a very strong time of 79:28, a result that would easily win most events in the UK. Davies’ club mate Laura Thomas was third lady in 81:25, a great result for the Suffolk County Cross Country Championships bronze medallist. Further north the Yorkshire hills saw some fast times for the Dewsbury 10k winners, the consistently excellent Julie Briscoe from Wakefield and Jarrow & Hebburn’s Chris Parr on Sunday (February 2). Briscoe ran a scintillating 35:04 to run her fastest 10k in well over a year to take the victory from Leeds City’s Rachel Friend. Friend crossed the line second in a fine 35:38, which was just seven seconds shy of her PB set at last December’s Ribble Valley 10k. 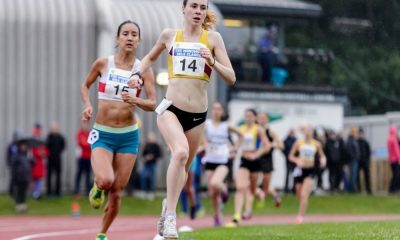 The Leeds City athlete was nearly two minutes clear of third placed Amy Young from Hyde Park Harriers, who ran 37:31 – a near 80 second PB. Parr led the men’s pack in for the win in 31:22 to hold off Spenborough & District’s Joe Sagar, who finished fast in a time of 31:37. Penistone Footpath Runners’ Scott Hinchcliffe made all those fell training runs worthwhile with a 31:43 clocking for third and a new PB to boot. Staying with the 10k action, there was a dominant win for Heanor’s Chris Rainsford at the London Winter Run on Sunday (February 2), while Luton’s Charlene Jacobs-Conradie took the women’s top prize. Rainsford won comfortably in 31:23 from Spaniard Sergio Santos Rodriguez, who posted a 32:07 result. Patrick Townsend took the final podium spot in 32:17. Jacobs-Conradie only started competing less than four years ago, when she was already a V35, but has gone from strength to strength during that short period. Her 35:48 result here was a three minute improvement on her debut over the distance in May 2017! The runner’s up medal went to Ana Fox, who ran 36:14, while Herne Hill Harriers’ Jordan Foster posted yet another PB in third with a 36:51 result. Foster’s new lifetime best represents a 41 second revision of her previous PB from last month’s RunThrough 10k in Richmond. Blackburn’s Winter Warmer 10k saw wins for Tipton’s Stephen Corbishley and Victoria Mousley from the host town’s Harriers club (February 2). Corbishley is a prolific racer on all surfaces, finishing fourth at the recent Stafforshire County Cross Country Championships. The versatile athlete won here in 34:08, ahead of Blackburn’s Josh Holgate’s 34:17 and Thomas Blaney’s 34:50. Mousley won the women’s race by exactly two minutes when she crossed the line first in 40:59. 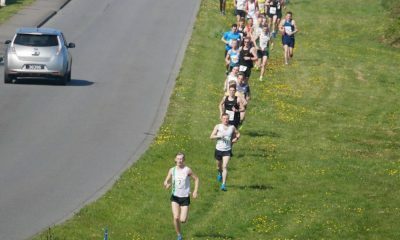 The V35 ace beat off Sara Baranowska’s 42:59 and Swinton RC’s V45 Lauren Marsden, who ran 43:23 for third. 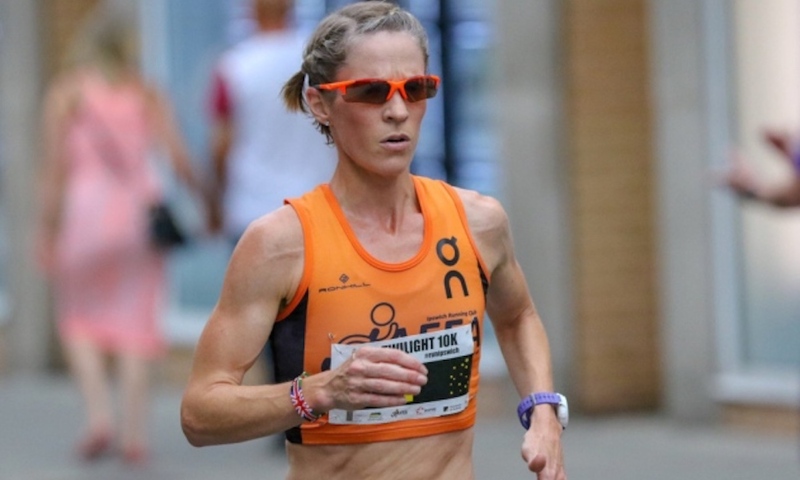 Liverpool Pembroke’s top endurance runner and increasingly competitive athlete at all levels, Kirsty Longley finished fifth overall at the Mad Dog 10k in Southport on Sunday (February 2). The V40 ace ran a strong 35:30 to beat club mate Helen Sahgal into second place, the V35 running well herself to post a 39:08 result. Carmel Triggs took the third prize and beat 40 minutes as well to clock 39:42. The first man across the line was Red Rose’s Simon Croft, who ran 33:57 to top the podium in Merseyside. Salford Harriers’ Paul Bannister was a clear second in 34:41, while Steel City Striders’ Liam Turner just held off fourth placed Francois Rafferty by 10 seconds with a 35:15 result. Saturday’s BUCS Cross Country Championships at Bicton in Devon saw wins for Emile Cairess (by 1000th of a second!) and Anna Møller (February 1). Click here for the full report. 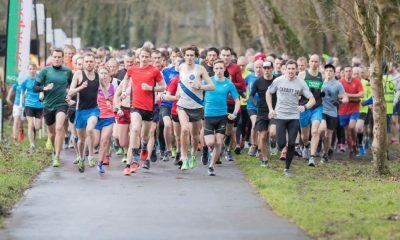 Peter Le Grice and Jen Elkins were the speediest in the UK at parkrun events yesterday, find out who else made the top ten here.